There is nothing more exciting for me than finding a great deal. But to find a great deal in kid's fashions for less than three dollars an item is just amazing. Better yet how about $2 or less a piece...astounding? Well my sister Kim has been out doing the garage and yard sale thing and this is an outfit she picked up last weekend for Grace. The headpiece Grace is wearing was once part of a flapper costume. 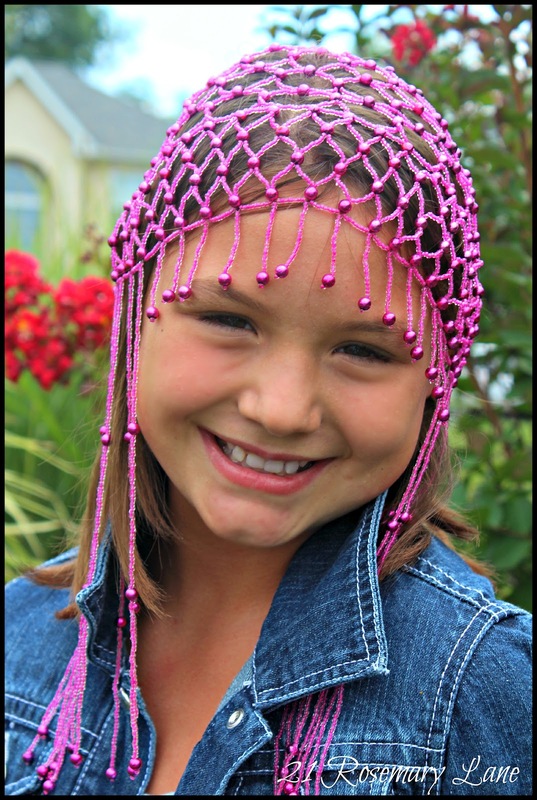 Gracie decided to incorporate the splash of pink on her head to add a little "pop" to her new ensemble. 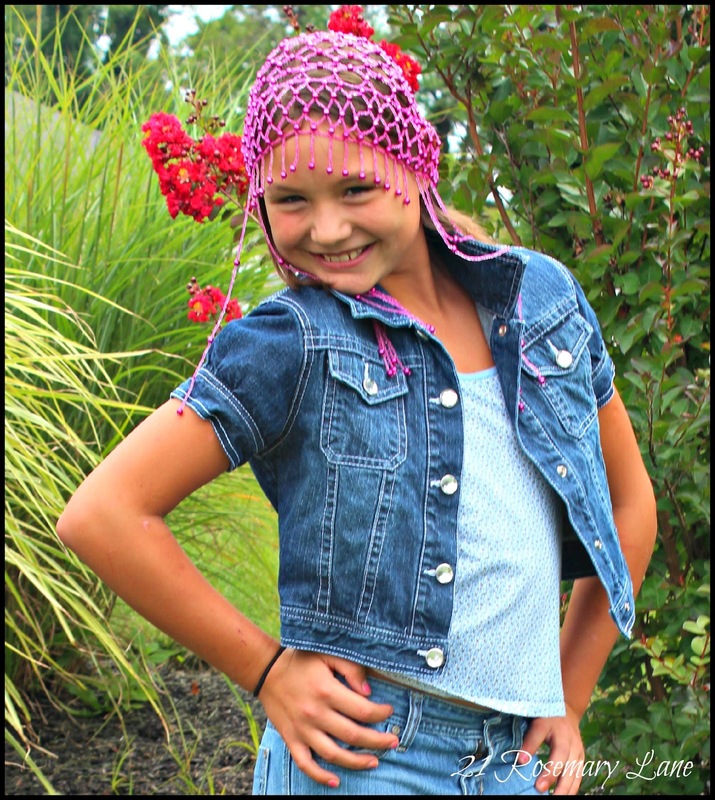 Total cost for the top, jeans and little jacket $3.50...flapper headpiece $.33! The smile on Grace's face...PRICELESS! Looks like you've got a fashion maven there! She looks adorable! What a great find. I never have that kind of luck! Oh my gosh! She is a cutie who looks fabulous!! 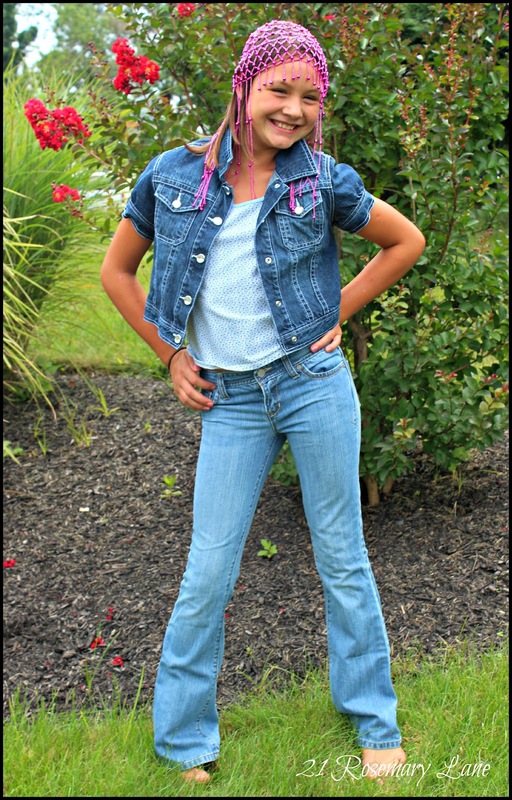 Awe she is such a fabulous model! Thanx for linking up! Awesome! What a great look and an amazing price! !